Each resident’s legacy and passions are honored through our Valeo Signature Programs, which increase awareness, cognition and engagement; stimulate pleasant long-term memories; and provide joy and pleasure. Respecting legacy is the core of Valeo. Our signature memory care programs tap into the individual’s past and call upon and preserve their memories – not only for the individual, but for the entire family. We believe that a life can continue to be fulfilling and engaging for individuals with memory impairments such as Alzheimer’s disease and dementia. Our programs respect the passions and experience of residents and we develop this programming around their hobbies and interests. Residents and their families create a treasure chest of specific items that are familiar and meaningful and reflect aspects of their identity. The items have specific historical relevance to the individual’s life experiences, special interests and association with important people or life events. The kits and their contents provide a means to fun and meaningful interactions with each resident that connects them to their past and creates special moments of reminiscence that can be used to enhance their quality of life in the present. 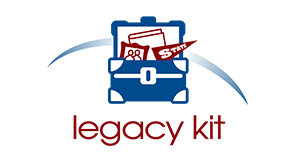 Legacy Kits are used by both caregivers and family members in an ongoing basis to foster positive interactions and active meaningful engagement with residents. The very act of getting away—physically or even mentally—relaxes the mind, renews the soul and opens us to new opportunities and ways of seeing. 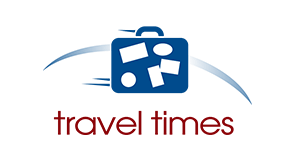 Continuing to facilitate the travel experience for individuals who have been diagnosed with types of dementia such as Alzheimer’s often provides pleasure, connection and intellectual stimulation while triggering memories and offering an escape from the day-to-day. There’s no denying the bond between humans and animals. While a tactile experience, pets offer therapeutic benefits, too: comfort, enjoyment and socialization. Research also shows how bonding with animals can lead to health improvements, such as lowering blood pressure and rates of heart disease, reducing stress and even decreasing anxiety and depression. 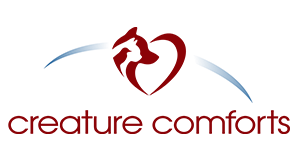 Creature Comforts is a pet program that brings gentle animals into the Fredericksburg retirement community – whether dog, cat, bird, fish, amphibian or reptile – to interact with residents. It’s also a perfect time for residents to show pictures of past pets, or recall memories of their own animal experiences – all in the name of creating a positive impact on the intellectual, social, physical and spiritual well-being of every person. Routines provide daily structure and a sense of purpose to those with memory impairments…but how can you turn such everyday tasks into enjoyable experiences? VITA! takes the seemingly routine activities of daily living and makes them a pleasant, memorable action. Led by the community’s wellness team, VITA! programs may include trivia, brain teasers, singing songs, meaningful conversation and exercise, all while paying attention to self-care. The result: daily “to-do’s” become moments of joy, creating positive moods and enhancing quality of life. 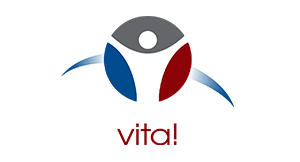 For residents living with Alzheimer’s disease, dementia and other memory impairments, VITA! practices help to calm and bring a sense of peace and focus to the activity of the moment by creating a pleasant event that improves both physical and cognitive function. Taking time to be fully engaged and mindfully present for the basic tasks of each day is important not only for the individual, but equally so for team members. Contact us to learn more about Alzheimer’s disease, dementia care and other memory care programs in Fredericksburg TX.